How can you help? (select more than one) Administration and Finance Events Marketing and Communications Talking to New Parents Groups about Toy Library Toy Purchasing and Processing Toy Repairs Website and IT Support Want to help but not sure how! Please contact me..
To become a member of Elwood Toy Library, it is important that you understand the rules and responsibilities of the Library. Toys can be borrowed for up to 3 weeks. There are no extensions beyond this time. Toys more than 2 months overdue will result in cancellation of membership. Members should choose carefully to make sure the toys selected are appropriate for their child’s age. Members must check and count pieces for the items they are borrowing before leaving the Toy Library. If there are missing pieces or missing packaging, tell the person on duty and a note will be made on the toys record. Each toy, game and puzzle borrowed is listed on a printed receipt. This details the toy code, number of pieces, any damage or missing pieces and the due date for return. Overdue toys incur a non-refundable fine of $1.00 per family per full week. Missing pieces are fined at $5.00 per piece/item of each toy, puzzle or game and $3.00 per packaging or guitar string. Fines for missing pieces are refunded when the pieces/items are returned. Contribute a reasonable sum towards the cost of replacement of an item if it is lost or returned in a condition beyond repair (such reasonable sum to be determined by the Elwood Toy Library Committee). 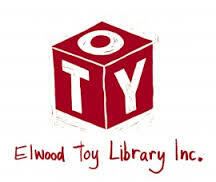 Volunteers help run the Elwood Toy Library and membership requires each family to serve on a roster during open hours. The roster duty is 3 x 2.5 hours per year. Members can choose the time that best suits them by placing their name on an online roster at elwood.mibase.com.au (your member login will be emailed to you when you join the toy library). If you do need to swap sessions please arrange this with another member and let the co-ordinator know of the change. If you cannot make it on the day please let the co-ordinator know so that they can be prepared. You may also be asked to help with stocktaking and working bees or at events – helping at these goes towards your roster duty count. The Library is open each Wednesday, Friday and Saturday from 9.30 to 11.30am. Please allow yourself at least 15 minutes before closing time for returning and borrowing toys as the Toy Library must close at 11.30am. The Library is closed during Easter and Christmas holidays and on public holidays and Saturdays of long weekends.